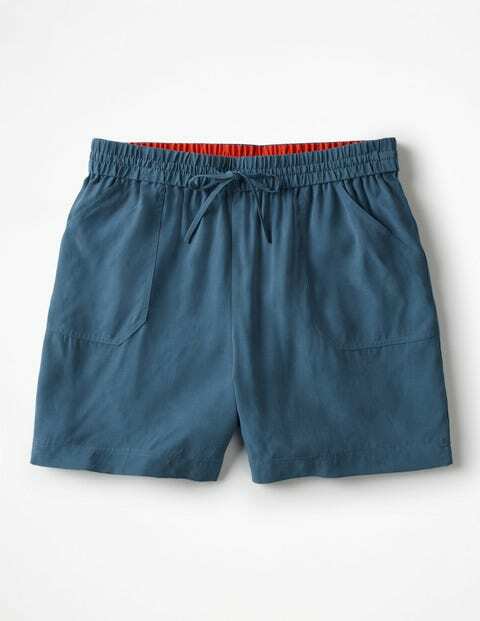 Keep your cool in our breezy shorts. Theyâ€™re crafted from soft, drapey cupro fabric with a casual washed look. Comfort stays high on the priority list: they sit on your natural waist for a flattering fit and have a secret waistband on the inside. Tie the adjustable drawstring, and off you goâ€”whether you're running to the airport or exploring on vacation.